Ep. 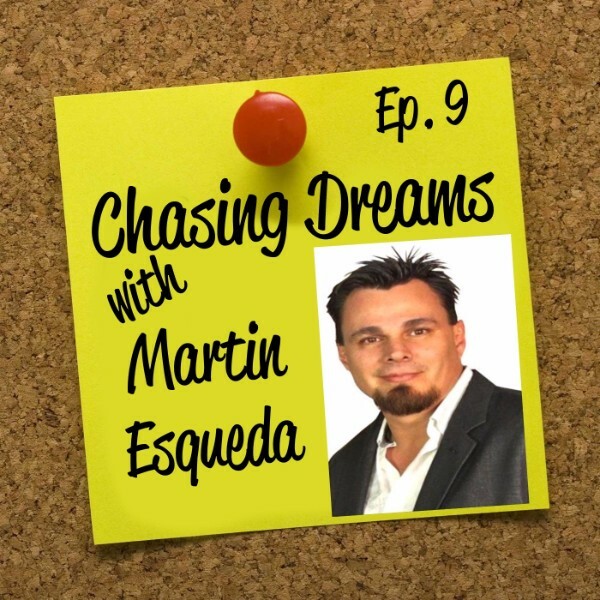 9: Martin Esqueda – Coaching Wall | Aimee J. Do you have a student athlete? What would it mean to you personally if you were able to chronicle our child’s primary and high school athletic career in an easy-to-use format that lasts forever? What if that platform provided stats boards to enable assessment and improvement? What if it was able to connect your child’s online athletic profile with college recruiters and scholarship funds. And what if it could connect you with possible sponsor opportunities? All of that sounds too good to be true, but it’s a very real opportunity that is your through http://www.CoachingWall.com – the brainchild of Martin Esqueda. Join Aimee J. as she chats with Martin about the usefulness and history of Coaching Wall. A digital photo/video gallery of your child’s sporting career. You took those photos and videos of your child’s athletic achievements because you wanted to remember them, but how can you do that if they are only a list of digital files on your computer screen? Martin Esqueda’s Coaching Wall website makes it easy for you to upload, catalogue, and organize those files so you can easily see your child’s athletic journey unfold from start to finish, and you can share the journey with family and friends easily, through social media.. In addition, you can input stats to see your child’s progress and help them improve. In this episode you can learn more about Coaching Wall and find out how to take advantage of the 2 week free trial to see if the platform is right for you. You’d like your child to be considered for athletic scholarships, but there are so many colleges and so many applications. Isn’t there an easier way? With Coaching Wall there is. Every user is able to create their own “recruitment page” to highlight the athlete’s sports journey, stats, and accomplishments and have that page viewed by hundreds of college recruiters. Perhaps more importantly, you can target specific colleges and send your recruitment page to them with a click of the mouse. From there you can easily see which colleges have actually viewed your recruitment page and take the initiative to contact them so you can start the dialogue about their interest in your student athlete for their school. Are you interested yet? 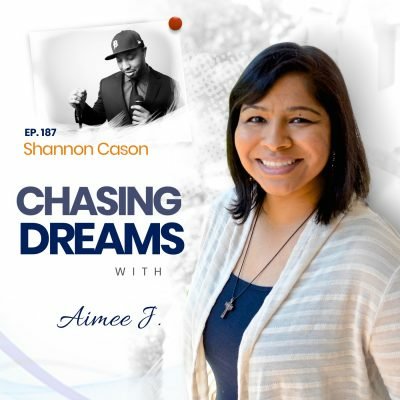 Find out more about Coaching Wall on this episode of Chasing Dreams with Aimee J. Does your sports team or league do fundraising? Here’s a powerful tool you can add to your toolbox! Coaches and team organizers have the ability through the Coaching Wall platform to set up team pages that highlight the team’s players, stats, and record for all their fans to see. But it’s more than just a fun way to keep tabs on the team. There is also a built-in fundraising component that takes advantage of the power of social media and digital communications to make fundraising opportunities easily shareable and communicated over an even greater network of people. Imagine what could happen if your team and its players were able to connect the people in their families and social networks to the fundraising efforts of the team? It’s definitely worth checking out. Find out more about how you can use the fundraising platform inside Coaching Wall for your team, on this episode. A simple way for extreme sports athletes and travel teams to reach out to potential sponsors. Coaching wall’s simple interface enables those seeking sponsorships (both athletes and teams) to reach out to companies that might be a good fit as a sponsor. Through the program, conversations can begin and real sponsor relationships can be formed. But there’s advantages for the business as well. Every team page that makes a sponsor connection can be customized to include the logo and details about the sponsoring business, creating vast opportunities for the business to be seen repeatedly by those viewing the team page. It’s an ingenious platform that benefits teams, athletes, and businesses. 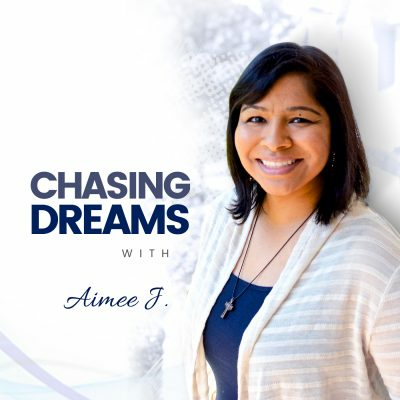 Find out more about Coaching Wall, it’s creator Martin Esqueda, and how you can use the platform to benefit your team or league, on this episode of Chasing Dreams, with Aimee J. [1:22] Introduction of Martin Esqueda of Coaching Wall. [2:14] Martin’s description of who he is and what he does. [2:48] The history of Coaching Wall and what the service provides for student athletes. [6:00] How Coaching Wall can be used for multiple sports activities to help students improve their performance and how it can connect them to potential sponsors. [7:58] Coaching Wall’s amazing ability to connect students with colleges for potential recruitment and scholarship purposes. [9:28] Should parents uses this site even if they are not going to try to get their child recruited into a college program? [10:45] What kind of reception is Coaching Wall receiving from schools, parents, and organizations? [12:00] How Martin finds time to work two major businesses/projects at the same time while carrying on a full time job. [12:50] What is it about Coaching Wall that drives Martin to keep it going in spite of the difficulties? [13:55] How Martin handles feedback from users and groups. [15:20] The advantages of Coaching Wall even if a child is not in the running for a college scholarship. [17:26] Why the two week free trial? And why only $5 a month after that? [18:32] Fundraising tools that are built into every coaching wall account. [20:37] How Martin got into the entrepreneurial realm and why he loves it. [22:02] The uncertainties and doubts Martin faced at the beginning of the development of Coaching Wall and how he overcame them. [22:43] The biggest road bump in the development and creation process. [23:30] Martin’s connection with the U.S. Olympic committee. [23:45] Martin’s wish-list for the platform in the future. [24:53] How Martin views the “success stories” that could come from Coaching Wall and what he’s hoping for. [25:34] Will Coaching Wall become an app anytime soon? [27:22] How you can find out more about Coaching Wall. [33:24] Aimee’s recommendation of Coaching Wall and her call to action. Aimee and Martin alternated saying the names of sports teams, without repeating one, until one of them couldn’t come up with another name. Who’s the winner?